Last month we learned what exactly “PBX System” means and some of the different deployment options. 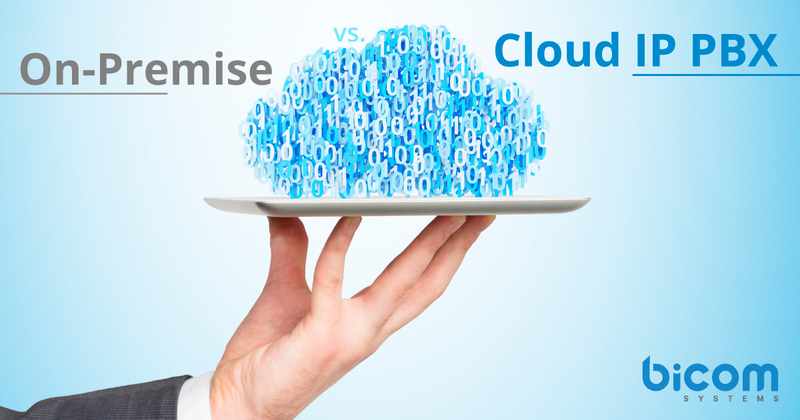 The two most common options – and hardest to choose between – are on-premise IP PBX and hosted or cloud IP PBX. On-premise solutions are owned and managed by the user. The physical IP PBX is stored on-site and all of the technology is set-up and maintained in-house. Hosted or cloud solutions are rented out by a service provider for a monthly fee that covers service, maintenance, and upgrades. The user needs only IP Phones that connect to the cloud PBX system via Internet. Both are good options depending on the size and type of your business. Clearly both systems have benefits and drawbacks. In general, hosted deployments are better for SMBs, organizations limited by budget, or companies expecting to grow in the future. On-premise systems make sense for very large companies that are prepared to own and support their own PBX. PBXware is an example of a hosted IP PBX solution. Learn more on our website. Previous articleHappy Fourth of July! Next articleWhat Is the Difference Between a Class 4 and Class 5 Softswitch?